Ecublens, Switzerland: –Powder handling specialists Dec Group will present advanced micronization technologies at the upcoming Drug Delivery to the Lungs (DDL) conference in Edinburgh. Dec will be an exhibitor at the event at Stand 252, showcasing its 4th Generation pilot-scale spiral jet mill MC DecJet 150 and the R&D-focused benchtop-sized unit, MCOne. “As a leader in micronization technology, the DDL event is obviously important to Dec Group,” commented Andrew Lemaire, Dec’s Head of Micronization, who will join the team in Edinburgh. 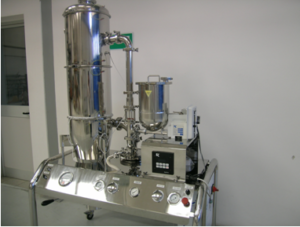 “Once again, we will be reaching out to expert and professional decision makers involved in the pharma production and manufacturing processes and equipment procurement, showing them a distinctive range of benefits including narrow particle size distribution (PSD), single pass technology, high yields and ability to micronize sticky powders,” said Mr. Lemaire. 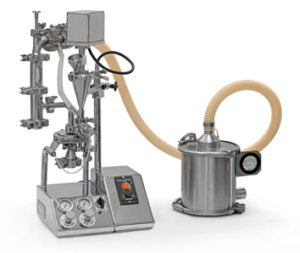 Dec will also highlight how its micronization solutions can be integrated within a complete process to ensure high isolation and containment for highly active or sterile ingredients. The Drug Delivery to the Lungs (DDL) Conference provides an annual forum for scientists, academics, clinicians, regulatory and industry specialists involved in developing medicines for inhalation. DDL 2018 is a three-day event opening December 12 at the Edinburgh International Conference Center (EICC) at The Exchange in the Scottish capital. Click on Dec at DDL 2018 for more information. Click on Dec Brochure Pharmaceutical and Chemical Powder Micronization for technical information.